Some vitamins, minerals, and herbs carry these symbols of approval. Here, what they can actually tell you about the supplements inside. Some supplement labels carry emblems featuring reassuring words like “verified,” “cer­ti­fied,” or “approved.” That may lead you to think that the product is effective and safe to take. But don’t confuse those labels with Food and Drug Administration (FDA) approval for a prescription drug, which means it’s been tested for safety and efficacy. “No supplement seal guarantees the safety or effectiveness of the ingredients in the bottle,” says Sharon Akabas, Ph.D., associate director of educational initiatives at Columbia University’s Institute of Human Nutrition. 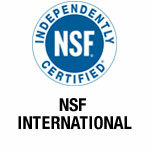 The seals featured below are granted by organizations known for certifying products. 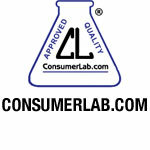 U.S. Pharmacopeia, NSF International, and ConsumerLab.com have long histories of certifying supplements. 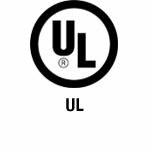 UL, which has traditionally certified consumer products like appliances and computers, will start certifying supplements this year. None of these organizations guarantees that a product has therapeutic value, nor do they test every batch of supplements shipped out. But their seal is a good indication that, for example, the product contains the amount of the ingredient advertised on the label and that it isn’t contaminated with dangerous substances, such as arsenic, bacteria, or lead. While seals from these companies don’t reflect the high standards for safety and efficacy set by the FDA for drugs, they’re still important because the agency doesn’t routinely do that kind of testing of supplements. Manufacturers must pay to get their supplements tested and certified, which may be a reason that only a tiny fraction of the 90,000 or so dietary supplements on the market carry one of these seals. 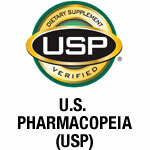 USP, for example, has verified only 139 products to date. Although we didn’t compare specific testing procedures, here is an overview of four seals you might see. Does it buy initial test samples in stores or are they provided by the manufacturer? Purchased in stores. Provided by the manufacturer. Provided by the manufacturer. Provided by the manufacturer. How often does it retest or spot-check? Once per year using samples purchased in stores. Once per year using samples provided by manufacturer and occasionally purchased in stores. One to six times per year using samples purchased in stores. Twice per year using samples purchased in stores. How much do manufacturers pay to have each product certified? $3,000 to $5,000 per product. $3,000 to $5,000 per product plus an audit fee of about $13,000. $3,000 to $15,000 per product plus an initial audit fee of $15,000 and a label fee of 1 cent per bottle. $2,000 to $8,000 per product plus an audit fee of $4,000 to $7,000. Are there products it won’t test? Products containing ingredients known to be unsafe. Products marketed for weight loss or sexual enhancement. Products known to contain unsafe ingredients and those marketed for erectile dysfunction, weight loss, or sports. Products containing ingredients known to be unsafe or those not recognized as dietary ingredients by the FDA. Laurie Tarkan is an award-winning freelance health journalist who writes for The New York Times; consumer health websites; and various national health, women's, and parenting magazines.